Guest: Rod Pyle; Topics: Rod talked about his two new books and the themes of each book, "First On The Moon: The Apollo 11 50th Anniversary Experience" & "Space 2.0: How Private Spaceflight, a Resurgent NASA, and International Partners Are Creating a New Space Age." 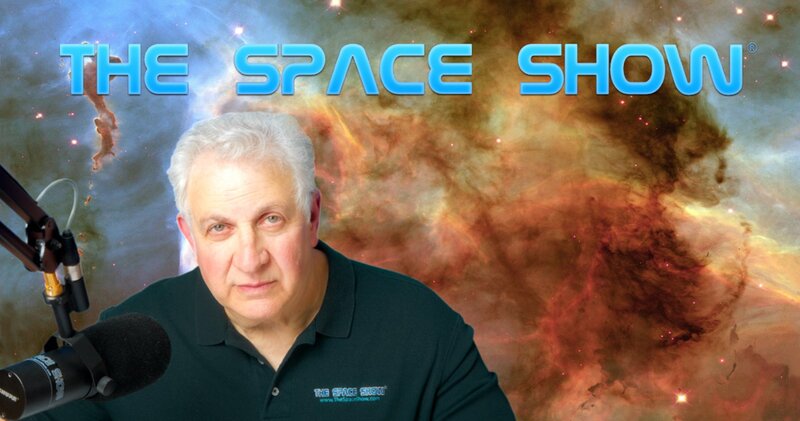 We welcomed Rod Pyle back to the show to discuss his two latest books, "First On The Moon: The Apollo 11 50th Anniversary Experience" & "Space 2.0: How Private Spaceflight, a Resurgent NASA, and International Partners Are Creating a New Space Age." Please remember to use the Amazon portal on our home page if you buy the books from Amazon. By doing so, Amazon donates a part of your purchase price to The Space Show. We started the program by first discussing his latest book which was to be released April 3, 2019, "First On the Moon." We discussed the importance of this year being the Apollo 11th 50h anniversary. Rod was aware of other Apollo 11 books published this year but then he made the case for his book. First On The Moon is a large format book with high gloss pages and color photos throughout and on every page. Rod described how he wrote it, he told us some of the stories he included in the book, he talked about his outreach to school age kids and how he got never and rarely seen photos for the book. He said the book was a good balance between the people of the Apollo story and the hardware. Regarding the hardware, he cited the Saturn 5 F1 engine and several machine shop stories regarding the complete Apollo manufacturing process. About midway through the first segment, we switched to talking about "Space 2.0." Rod told us the book dated from 2014 when he first presented the idea of the book publishers. Five years later the book was published. He talked about the writing and editing process and how the editor "pruned" his material into the final copy. I asked Rod about his Chapter 3 in the book titled Why Space? I asked him for his answer as we on The Space Show ask that question all the time and it is a hard one to answer, especially to a general non-space audience. Rod talked about the material in the chapter as he said his answers were based on radio and other interviews he had over the years. We talked about a few of the possible responses as to why space but believe me, the field is wide open. Tell us your why space response by posting it on our blog for this show. National pride was suggested as were spinoffs and economic reasons. At one point Rod talked about returns and investing for a profit. He also said the F35 program had spent around $350 billion which could cover many NASA budgets. He suggested that the new space industry was also about doing things differently and better when space business was concerned. The F35 example was more or less an example of what should not be done. Marshall was our first caller. He said he recently gave an Apollo talk to a high school and a student asked him why Harry Potter had not gone to the Moon. Rod and Marshall talked about high school students, history and the Moon rocket. Don't miss their discussion on this subject. In the second segment, we talked about space access. Rod featured SpaceX, Blue Origin, ULA, Tory Bruno, Elon Musk and Jeff Bezos in his comments. He talked abut inspiration, competition, and embracing new ways of contracting and doing business with the government. He focused on SpaceX and their private leadership. He thought the turning point to private industry came with the Falcon Heavy. This comment spurred many listener comments and a few of my own so don't miss all of what Rod had to say with Marshall. Our next caller was Martin from Dallas. Martin talked about "First On The Moon,' then more about "Space.2.0." He commended Rod on his positive approach to the stories and the industry. Rod talked about his role models for the industry and supporting factors. Martin contrasted Rod's book with the book titled "The Space Barons" which we covered last year with the author from The Washington Post. Rod had another chapter focusing on space entrepreneurs and the growth in that segment of the industry over the last decade. Examples were mentioned, including new company speakers at conferences such a Space Access. Space IL was also cited as an example. Rod then mentioned the process he used to help tell the difference between what was real and what was wishful thinking. The international chapter in his book addressed what was going on in China and Russia. Rod had more to say on the China Card. Don't miss his comments as they were important. He was then asked what the weak link might be, if there was one, for Space 2.0. In talking about a possible weak link, he told us about a scenario that was plausible though unlikely involving SpaceX and Blue stopping with their rocket plans leaving only SLS as the option. Rod expanded on that so don't miss what he had to say. He also had some choice comments for Mars One. Before we ended the discussion, Rod was asked for his thoughts on the government regulatory risk to the industry. Here, he talked about the FAA, the NSC, and efforts to clean up and speed up regulatory issues for commercial and human spaceflight. He concluded by letting everyone know he would be at ISDC this year and was looking forward to meeting Space Show listeners. Please post your comments/questions for Rod Pyle on our blog for this show. Rod can be reached through me or his website, www.rodpylebooks.com. Rod talks about his two newest books, "Space 2.0" & "First On The Moon"